The new Ford Kuga Estate has a lot of strengths that buyers in this market are looking for: It’s comfortable, practical and easy to drive. Visibility of the road ahead is awesome thanks to a high driving position, while space inside seems to know no bounds. You can all stretch out and travel with ease.The Kuga emerged on these grey shores in 2012, and like most Ford’s has gone on to be a success. The competition in this sector is stiff, though, so if you’re unsure we’ve got a comparison section to help you weigh up your options.OSV takes a closer look at what it’s all about with our Ford Kuga Estate review. 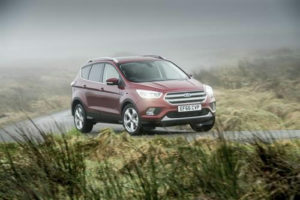 The Ford Kuga estate has always been a good car, and it just keeps improving from generation to generation. Although subtle changes are the order of the day here, it continues to be a strong choice in its sector if you’re looking for a practical 5-seater that isn’t a hippo on ice. 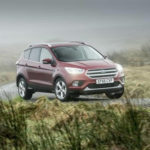 Somewhat frustratingly, there is still no option for a 7-seater, but Ford clearly decided that only a tiny percentage of us wanted that option anyway. With this 5-seater, you get better diesel engines, lower emissions – and pretty much everything else you had last time around. Let’s take a closer look at what it’s all about.